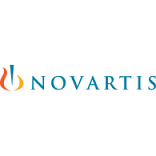 Novartis International AG is a Swiss multinational pharmaceutical company based in Basel, Switzerland. It is one of the largest pharmaceutical companies by both market cap and sales. Novartis manufactures the drugs clozapine (Clozaril), diclofenac (Voltaren), carbamazepine (Tegretol), valsartan (Diovan) and imatinib mesylate (Gleevec/Glivec). Additional agents include ciclosporin (Neoral/Sandimmun), letrozole (Femara), methylphenidate (Ritalin), terbinafine (Lamisil), and others. It was founded in 1996 from a merger and has more than 119,000 employees.